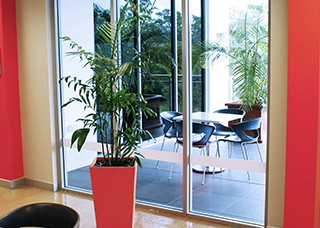 Very few business owners have more than a blink of time available to design their workplaces. 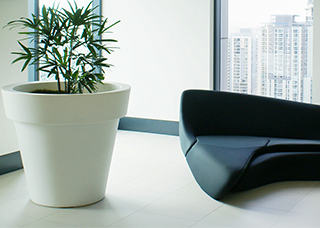 And with a pervading cultural belief that utilitarian minimalism is more professional, it’s most common for corporate and commercial work environments to favour sparse, monochromatic, and otherwise unstimulating interior design choices. 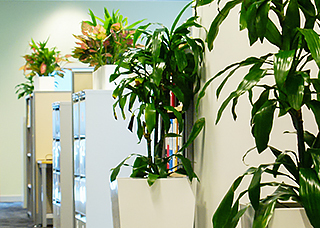 It’s almost common knowledge now that environments filled with plants are good for us. 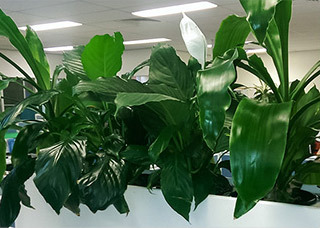 Plants clean the air, giving us fresh oxygen to invigorate our bodies and minds—and they even remove a lot of the harmful substances from our environment that cause us to feel unwell. Recent research into workspace design and management is challenging what we think we know about business operations. If your business’s productivity seems to have slowed and your bottom line is suffering without a clear cause, the answer could be in your decor. One of the most surprisingly harmful decisions you can make as a business owner is adhering to a common style convention: a lean office. Morale is one of those things you can’t see or touch, but you can sure sense if it’s high or low. High morale looks and feels like confidence, discipline, a positive attitude, and the willingness to do what needs to be done to achieve a goal. Morale is easy to bust and hard to boost. Learning at work is important, for many people their jobs are the only place available to them for learning, development and the feeling of progressing, especially those with families. Consistently building up your team’s skill-sets is also a huge asset for your company that can boost morale and employee engagement. The flip side of not learning in the workplace – your employees may feel demotivated and unhappy with the lack of progress and personal development they’re making at work, and this of course is not good. It’s hard to believe that something as benign and humble as a green plant could tackle toxic chemical substances, but it’s been proven repeatedly to be the case. Production deadlines, performance expectations, and personal conflicts can all contribute to tension in modern workplaces. This is compounded by technological advances—including computers and sophisticated climate control systems—that give workers less control over their work environments, leading to greater job dissatisfaction. Add in global economic uncertainty, and you have a recipe for business disaster: worker stress. 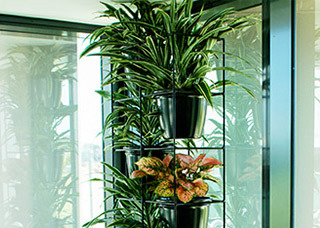 If you’ve decided to enhance the beauty and health of your indoor environment with live plants, congratulations! You’ve taken the first step towards healthier and more productive workers, a more visually appealing workplace, and all the financial benefits that brings. 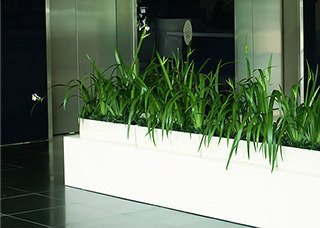 Most people don’t see common plants as design tools with the potential to transform an interior space. 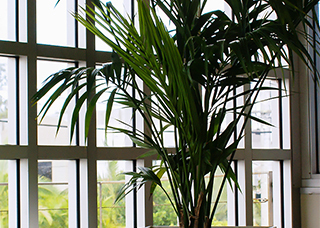 They also don’t know that interior plantings incorporate live plants as essential parts of the overall design, using the natural sophistication of their elements to enhance proportion and style, and even to correct flaws and inconsistencies in the building’s design and layout. Imagine a customer walking into your business for the first time. The first thing she notices is a striking Calathea Insignis, with rich purple and green hues and bold markings. 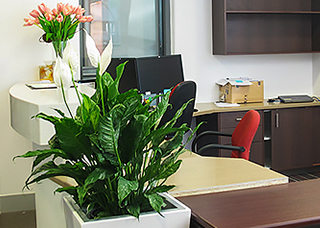 She then notices how the flower matches the upholstery on the furniture, and complements the artwork and design elements throughout the office. The space is refreshing, relaxing, and welcoming. How do you think she’ll approach your first interaction?